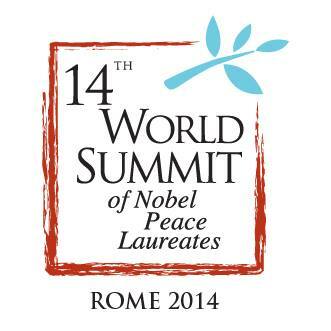 (TibetanReview.net, Nov18, 2014) – The 14th World Summit of Nobel Peace Laureates is now to be held in Italy’s capital Rome from Dec 12 to 14. It was initially scheduled to be held in Cape Town from Oct 13 to 15, but had to be cancelled after South Africa refused to grant visa to the Dalai Lama, citing its fear of offending China. China praised South Africa for its decision, but a number of peace laureates, disgusted by the development, resolved not to attend the summit, prompting the organizers to suspend the event. The theme of the Rome summit will remain the same, namely celebrating the 20th anniversary of the end of apartheid in South Africa and the legacy of the late Nelson Mandela – also a Nobel peace prize winner. The 1989 Nobel Peace laureate Dalai Lama will attend the event with 22 other laureates, including Archbishop Desmond Tutu, Shirin Ebadi, Leymah Gbowee, Tawakkol Karman, Mairead Maguire, Jose Ramos-Horta, David Trimble, Lech Walesa, and Betty Williams. Rome is the city where the summit was originally conceived and where the first eight summits were held. Thereafter it was held in Paris, Berlin, Hiroshima, Chicago and Warsaw. The South African government had denied refusing entry to the Dalai Lama, claiming the latter withdrew his application. But the Dalai Lama’s Pretoria-based Representative Nangsa Choedon had said the withdrawal followed South Africa’s telephonic communication to her saying the visa will not be issued as the government did not want to risk offending China. The summit is an annual event in the field of peacemaking and brings together Nobel Prize winners, high-profile leaders and organizations from around the globe. It was created by Vadim Zagladin and the Gorbachev Foundation and is chaired by former Soviet president and Nobel Peace laureate Mikhail Gorbachev, with former mayor of Rome Walter Veltroni as co-chair. South Africa has, on three occasions since 2009, dragged its heels until the Dalai Lama was left with no option but to cancel his visit. In 2009, a peace conference in Johannesburg, arranged to highlight the World Cup in South Africa, was cancelled because the Dalai Lama was refused a visa. In 2011, the Dalai Lama cancelled his visit to attend Archbishop Desmond Tutu’s 80th birthday virtually on the eve of his departure, as the government kept refusing to give a response to his visa application. Each was followed by outcries from the country’s public who saw it as a betrayal of the commitment to human rights embraced by their government since the end of the apartheid rule 20 years ago.